To dial internationally, AT&T provides this on-line guide to international country and city codes. Contact our coaches at NOW WHAT? Coaching. Cassi is also a senior trainer with the Life Blueprint™ Institute. Ginny guides accomplished professionals to use their restlessness as the door to start living with greater joy and abandon. A member of the Now What? A Team, Ginny has also served as former Deputy Editor of the Now What? News. Inspiring people to see new possibility, move beyond limitations, and take next steps. Barb serves as Deputy Editor of the Now What? News. Gen X’ ERS and boomers who want Now What? mid-life coaching to sharpen and elevate their leadership purpose and direction. I only work with current or aspiring leaders and management executives. Includes 12 to 15 hours of coaching services, prep and analysis time reviewing assignments before each session and unlimited email questions. Vivian VanLier is consistently commended by clients and colleagues as passionate, knowledgeable and committed. Coaching for success in life, career and retirement transitions. Jeanne is also a senior trainer with the Life Blueprint™ Institute. I coach millennials leaders who want work/life fusion. Mary works with women, helping them come from a place of authenticity to uncover their own unique passions in areas of career and personal growth, and discover genuine work/life balance. Margot Owen, as a transition coach, helps clients take the needed steps toward the possibilities that await. Why stay stuck? Grace is also a senior trainer with the Life Blueprint™ Institute. I have a passion for guiding individuals toward clarity. Helping you find work that WORKS for you! Dutra Associates helps leaders reach their peak potential at three key transition points in their careers – growing into senior leadership roles; becoming an entrepreneur; and designing the next chapter. peak professional potential and those personal goals that they are most passionate about. With a background in the corporate world, Tracey works with moms to help them create deeply rewarding lives filled with joy and balance! Carol instills in young adults confidence and skills to help them figure out how to proceed in a specific situation, embark on a new career or navigate their life’s path. 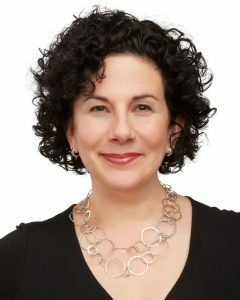 Renee M. Sussman, PCC, M.S. Kay Gimmestad is a Business Coach and Clinician with 20 years of experience working in the profit and not for profit sectors of Human Resources, Health and Human Services. She has built a reputation for being highly skilled in facilitating behavior change while working with employees, on matters related to performance management, work and personal transitions, substance abuse, domestic violence, conflict resolution and communication skills. Deborah is also a senior trainer with the Life Blueprint™ Institute. I spent 25 years in a large corporation before I found the courage to find and follow my life’s purpose. I know what it is like to feel like something is missing in your life, and I now know what it is like to have found that “something” – to feel whole, complete and fulfilled. If you are looking for your Now What?®, I would be honored to partner with you. I help highly motivated professionals and leaders get unstuck in their careers by decreasing stress, enhancing resilience and inspiring them to greater fulfillment and joy. I coach motivated and open minded people to achieve happy, healthy and abundant lives. Teresa specializes in change and loss: change – in health, career, job or life, loss – of a loved one, relationship, divorce. Coach to the edge, coach from the heart. I love helping people uncover and remove baggage that stands in the way of their peace and happiness. I help leaders and creative individuals trust their intuition to make better decisions, gain clarity and lead with meaning and purpose. Jane works with employed professionals and business owners who have reached a decision point in their career, work or business life and who know they want to do something different, often seeking greater fulfilment. She helps clients explore and find new direction, gaining the clarity, confidence and motivation to make changes and move forward. For assistance in dialing internationally, AT&T provides this on-line guide to international country and city codes.